I became one of six fellows of Ludic Room’s Randomstring programme early November. One late night scrolling through artjobs.org, which hadn’t usually brought me much job, I found the open call for the opportunity. Develop a creative enquiry from November 2018 to April 2019 using interactive or networked technology relating to their artistic practice. ● Contribute a minimum of six blog posts that document the Fellow’s working processes throughthe creative enquiry period. A package of 4 hour long mentoring between 10 December 2018 and 8 April 2019 equivalent to 6 half-days. A matched and personally tailored mentoring scheme based on the basis of common interests, the Mentor’s technical specialism and the line of creative enquiry by the fellow. To give the Fellow creative technology equipment to the value of £200. This will include starter pack of basic interactive equipment provided by Ludic Rooms, in response to the Fellow’s stated area of enquiry. ● A £800 bursary to covering the Artist’s expenses in two halves; £400 on signing of letter of agreement and a further £400 after 3 mentoring sessions and 3 blog posts. ● Access to a shared studio at Ludic Rooms studios at Coventry Canal Basin if required. A free residential stay at Hawkwood College where the fellows are introduced to some technologies, both software and hardware. I had up until this point found creative technologies interesting but inexplicably inaccessible. My educational practices hadn’t, until this point, expanded into the realm of ‘haptic technology’ (arduinos, TouchBoards… wires and the like). Frustrating because for sure my practice investigated digital things, but not necessarily a conversational technology between artwork and audience. I had met the directors of Ludic Rooms, Anne Forgan and Dom Beardmore, at the interview for the fellowship. The first time I met the other fellows was on the residential trip to Hawkward College. All fellows were practicing creatives: Laura Nyahue, a textile-based artist who investigates marginalisation societal issues surrounding migrants; Mary Courtney, a poet-based artist influenced by the off chance and ‘weird’ collaborations with everybody; Emma J. Lannie, a site-specific writer investigating interactive layers behind storytelling; Natalie Ramus, a performance artist that challenges the ‘societal expectations of normative female behaviours’ using her visceral, abject body; Julia Snowdin, a family-focused installation/textile artist and fellow dog lover; and myself, a sculptural artist investigating tactile properties and technologies of constructed materials in relation to the body. Fellowships and residencies that merge a variety of practitioners together is a vital part of a programme with numerous participants. Only one thing brought us together and that was the lack of tech-related opportunities across the UK; an issue Ludic Rooms addressed so well. I found the educational force behind the programme to be the centrality of the fellowship, and the interdisciplinary pedagogy as a defining moment of change within my practice. It expanded my understanding of the reach of the programme that exists within the fellowship, within Coventry, and across the UK after meeting with the other fellows. The programme had reached across multiple sites and spheres, and reached out beyond Coventry, and beyond technological art. My line of enquiry for applying to the fellowship was that I felt technologies were unfathomable to my practice (mainly to the tech-language used by Arduino, Raspberry Pi, and tech experts in general) and how my practice often struggles to meet my own expectations. I found I would often have ideas, such as how a tactile material might relate to the presence of a body, or how breadth, depth and width could be tangibly measured into a unit of sound pulse, but converting that into a tangible work methodology was difficult. The language on the internet surrounding manuals and wikihows was equally difficult to put into logical steps forward. Our residential trip to Hawkwood College was one not like any other’s I had experienced. As a child/young teen, I had gone to Dunfield House (mid-boarder Wales), Ingestre Hall (North-East of Stafford), and YHA Borrowdale in the middle of Lake District on residential trips. 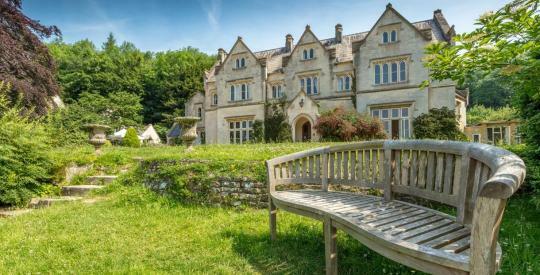 Going to Hawkward College, the familiar feelings sleeping away from mom and dad in remote 17th-century Jacobean mansions and 18th-century gothic Tudor villas returned. It is always nice to be away. During these short two days, we were introduced to open-access platforms such as Arduinos, softwares such as PureData, looked how midi-boards and contact microphones are set up, and looked at live coding. We also ate more cake that I have eaten in my life. I felt looked after and as though the purposes of the trip were well addressed.